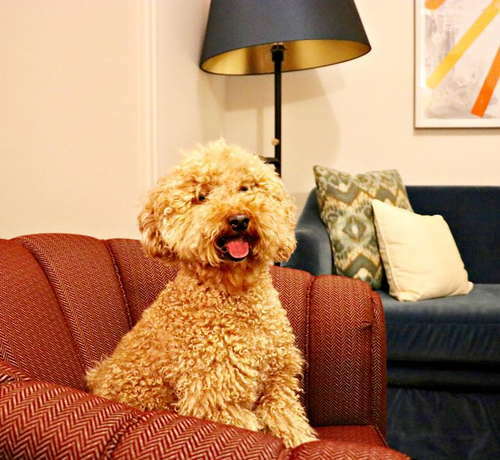 Thompson Hotels has renovated this beautiful New York City landmark into a jewel of a hotel. Classic architecture combines with contemporary design elements to create a grand but welcoming space. The designers have preserved and enhanced many of the old details, adding some modern flair here and there, resulting in a property that feels chic, comfortable and timeless. The rooms feel homely and inviting; like stepping into the apartment of a wealthy New York relative. There are dark oak floors, lush fabrics in bright jewel tones and quirky designs details. 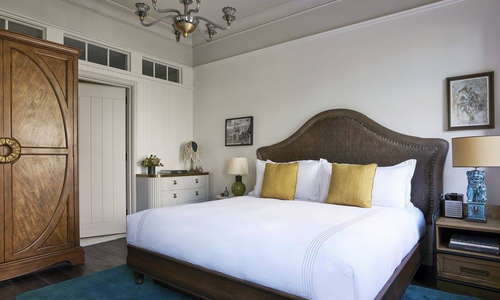 The beds have grand leather headboards and luxurious sateen Sferra linens. 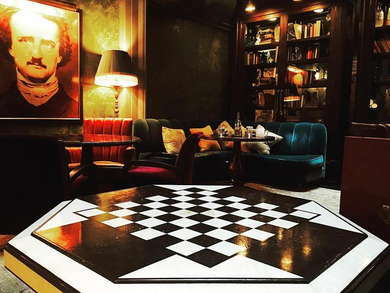 Each room is decorated with individual antique pieces and unique contemporary art which lends the space real charm, while the light walls help to keep the room feeling bright and modern. Choose a room on one of the higher floors to enjoy beautiful sunlight when you step out onto the atrium balcony each morning; the skylight feels more open which each rising floor. Bathrooms feel classic and charming, outfitted in marble and white tiles. Soft, flattering lighting feels calm and peaceful. All rooms have spacious walk-in showers, and the larger suites offer beautiful stand-alone bathtubs. The pretty amenities are by local perfumery D.S. & Durga; they smell gorgeous. Grand yet warm and welcoming, the large open lobby is a study in rustic elegance. As you step onto the beautifully tiled floor, you are soon enveloped by a divine smokey fragrance; instant luxury. 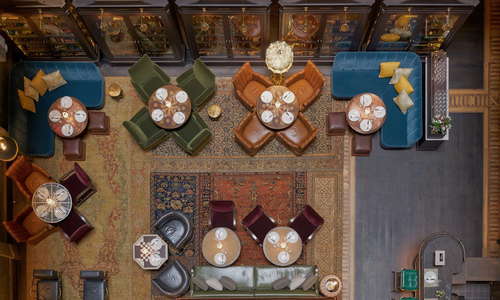 Persian rugs, contemporary art, and lush velvet seating create a space which feels opulent yet inviting. Like the grand receiving room of a great house, the space feels calm and steeped in history; a peaceful change of scene from the busy streets outside. There is no spa, but the concierge is happy to arrange in-room spa services; the menu includes hair, massage, facial and nail services. A dual level fitness center has wood paneled walls and a spiral staircase which help the space to feel as elegant as the rest of the hotel. The rooms are well equipped and feature state of the art Peloton studio spin bikes. You are spoilt for choice here with two excellent restaurants on site. 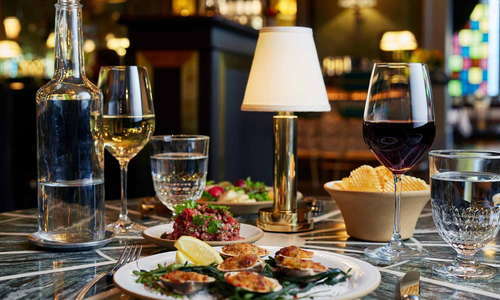 Keith McNally’s Augustine offers elevated French bistro standards in an elegant space while Tom Colicchio’s Temple Court reinvents classic dishes with seasonal produce. 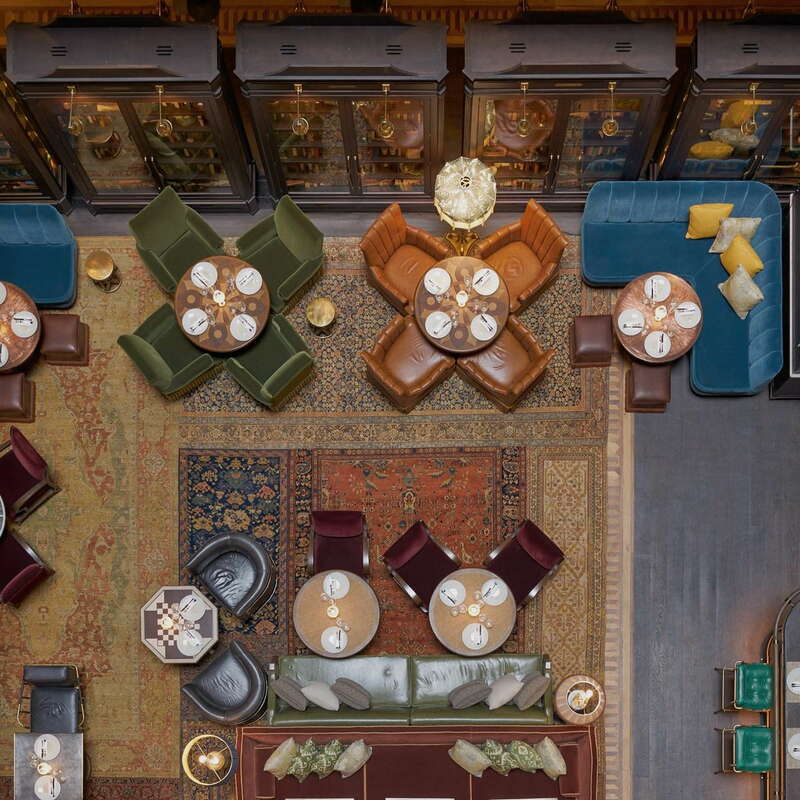 The Bar Room sits in the heart of this glorious building, underneath the beautiful Victorian-era atrium which winds up 10 floors to a skylight. The designers paid homage to the literary history of the building with a space that feels like a warm library; complete with plush velvet seating, dark wood paneling and glass cabinets filled with books and other curiosities. 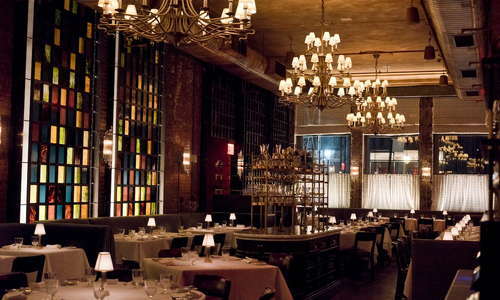 This is the perfect spot to linger over a delicious cocktail and soak up some Old New York charm. YOU SHOULD KNOW Both options are luxurious; which means both options come with a hefty price tag. The A, C, 2, 3 , J, Z trains at Fulton Street are just 2 minutes away. Lower Manhattan is easy to cover on foot, and the entrance to the Brooklyn Bridge is just around the corner and makes a scenic walk into Brooklyn. Fuku’s Wall Street location (11-minute walk) is a casual fried chicken spot from the masterminds behind Momofuku offering chicken, salads, snacks, and beer in a simple, bright environment. 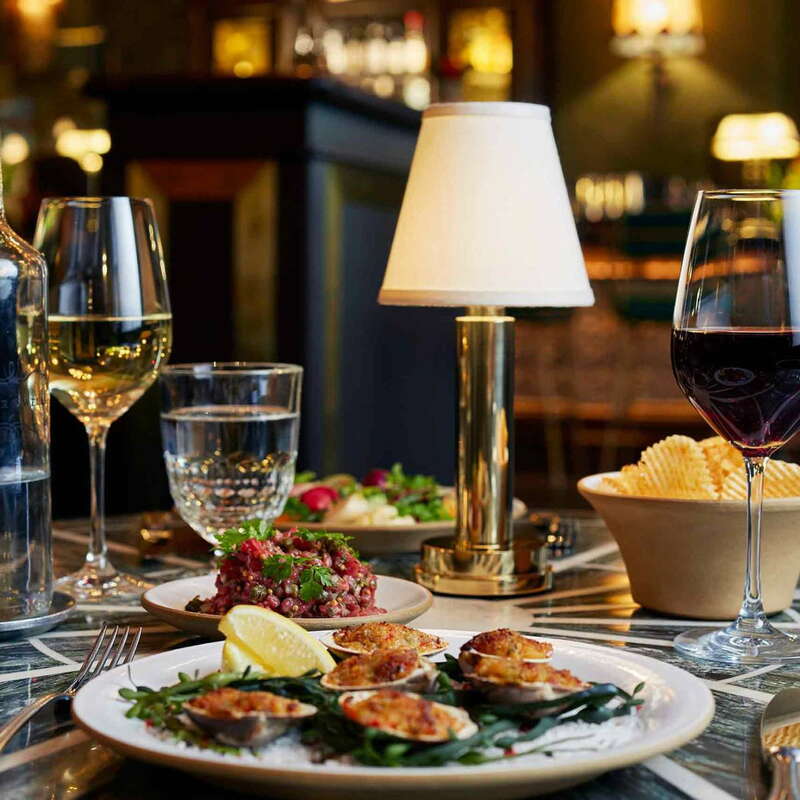 The Odeon (12-minute walk) in nearby Tribeca has long been a classic New York staple for those seeking a lively bistro and delicious French-American food. Blacktail (16-minute walk) serves meticulously made retro cocktails in a Cuban themed bar; a great spot for rum lovers. Mr. Fong’s (17-minute walk) is a hip bar hiding on an unassuming street in Chinatown; go early for a calm aperitif or late for DJs and the company of downtown cool kids. 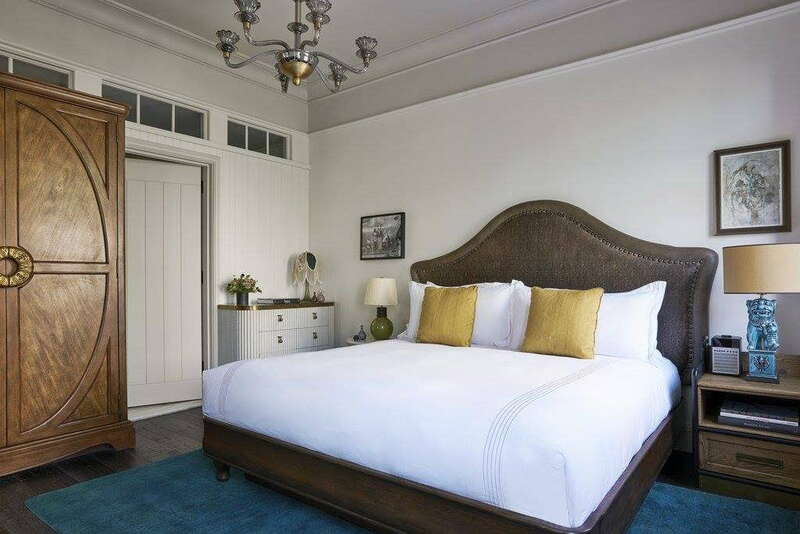 The Beekman feels luxurious and stylish in a beautifully rustic way. The building is large, grand and steeped in history, but the atmosphere remains intimate and personal. 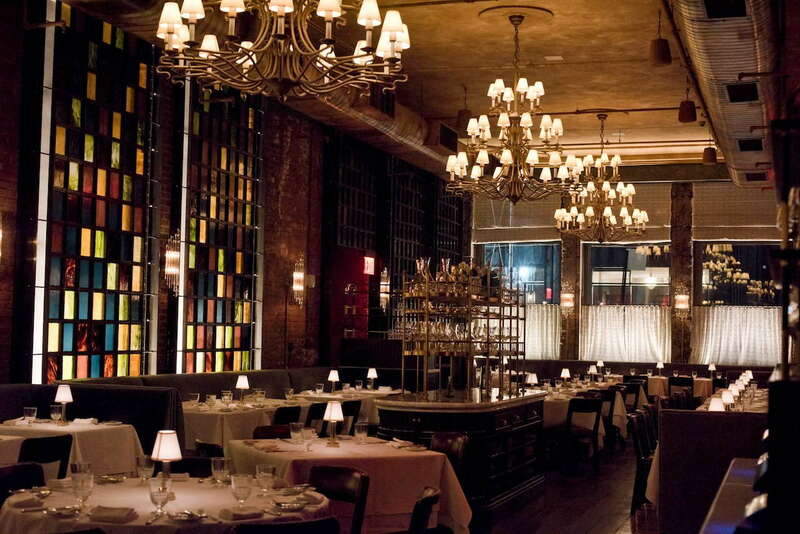 It offers a seductive combination of elegant service, gorgeous architecture, and artistic design.